Many of us are quite pleased with the re-election of Prime Minister Netanyahu. Mr. Netanyahu has become a world-class statesman and is considered among many as one of the top leaders in today’s world, especially in trying to defend Western civilization from enemies such as Iran and other Islamic terrorists trying to destroy the Western way of life. I hear from many non-Jews the phrase “Churchillian” when describing Bibi Netanyahu. He is on the absolute forefront, protecting the West from an encroaching and imperialistic Islamism, something the radical multiculturalists and globalists refuse to see. Furthermore, he has transformed what was a mediocre Israeli economy into one of the most dynamic and vital economies in the world, thereby elevating the Israeli standard of living for most. Look how he has expanded those countries around the world now trading with Israel, in Asia, Africa, America, and even Europe. No one else could have done this — not to this astounding degree. His background at fine American universities, his high I.Q., his speaking skills, and his ease and familiarity with diplomatic society raise him above the local and parochial level of most of his competitors. He simply out-classes them. Really, it is frivolous to raise his peccadilloes, be they for cigars or wine, as something more urgent than what he has yet to offer the country. He is a man with broad visions, and he has presence. Fortunately for Israel, Netanyahu has a natural and positive relationship with President Trump, who’ll assuredly be America’s president for the next two years and perhaps the next six. As to the Diaspora: Most traditional and enthusiastic Zionist Jews admire what Mr. Netanyahu has done for Israel. True, many of the liberal Jewish leaders in America do not favor him, but they would be equally against any Likud or center-right leader. Liberal Jews want a two-state division now. But the Israelis just voted against it because they know that, at this moment, a Muslim state would be a Hamas terrorist state whose immediate mission from day one would be to incinerate Israel. Two-state is no longer a solution. Unlike America’s liberal Jewish leaders, most Israelis voted for Netanyahu and center-right parties that believe in identifying Israel as a Jewish state, with Hebrew as its core language, with Jewish holidays constituting the center of its yearly cycle. The liberal American Jewish leadership and those who follow them are presently at odds with the Israeli electorate, the Israeli people. As much as Israel is a Jewish country and a potential home for all Jews (thanks to the nationalistic Right of Return), it, like any country, has its own local traditions and customs. It is not for Diaspora Jews outside to force their ways on Israel. 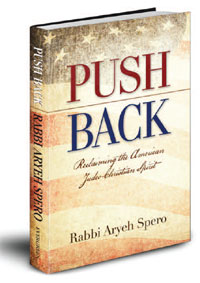 Israel is not the place for liberal American Jewish leaders to socially engineer how Israel prays or where Israelis pray. Israel cannot be a laboratory for liberal social experimentation from those living outside. I imagine that the Irish in America don’t force their ways on County Cork back in Ireland, nor do Americans of French ancestry impose and tell those in Bordeaux how they must change French habits and traditions. Liberal Jewish leaders in America, especially in the Reform movement, have spent the last few years doing to Mr. Netanyahu what they are doing now to Mr. Trump. They should begin acting much more cordial to both men. They don’t have to like them, but it’s quite a character flaw to act so brazenly and disrespectfully to presidents and prime ministers simply because you don’t share their viewpoint, especially when the people have voted for those leaders. Many of the liberal leaders, including the left-wing Jewish clergy, have acted disgracefully and are sowing unnecessary division. They are causing rifts by unnecessarily agitating their members into a type of hateful frenzy. It’s time they began acting responsibly and like gentlemen. That would go a long way toward the Tikkun Olam they profess.